I'm quite lucky my birthday was around the double holiday of Easter and ANZAC day - meaning extra opportunities to slot in catch-ups and lunches! 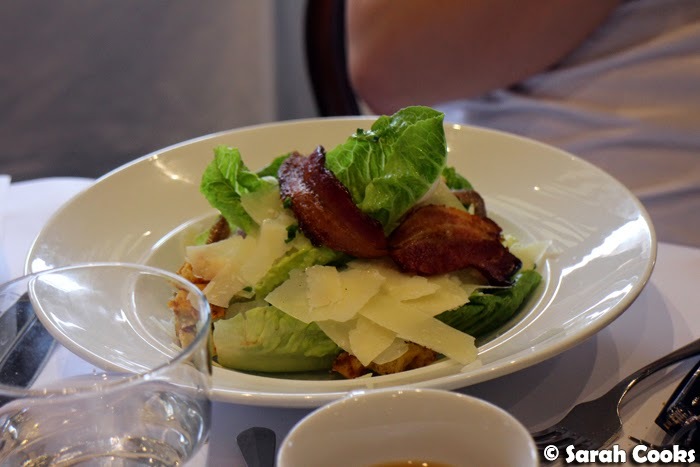 This birthday lunch at Bistro Thierry was with my blogger buddies on Easter Monday. 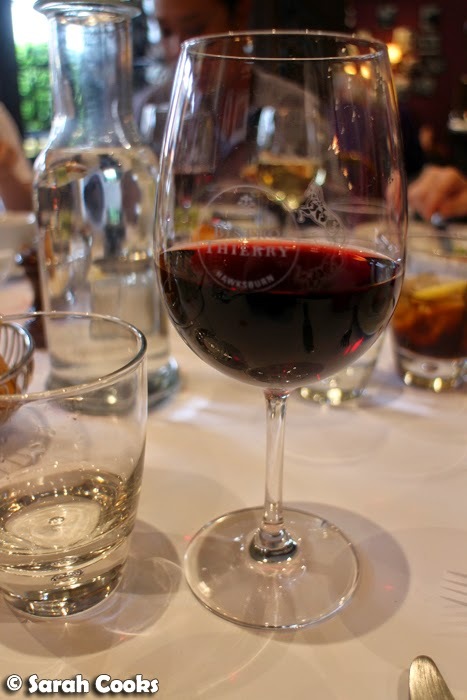 I'd been to Bistro Thierry two years ago for my birthday dinner and thought the food was excellent. 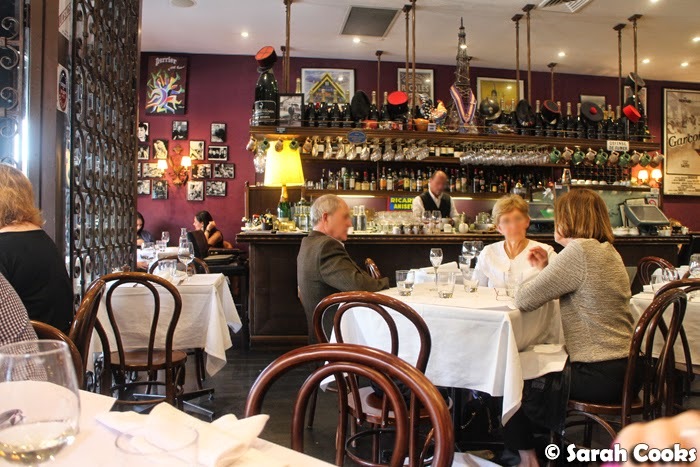 It's also in quite a convenient location, and they have a very reasonable prix fixe menu, which thankfully they still offered on the public holiday: two courses and a glass of De Bortoli wine for $35! (Add an extra course for $8.50). A good price and easy to split. And as a bonus: I felt like a real Real Housewife going out for lunch on a weekday in Malvern, hehe! 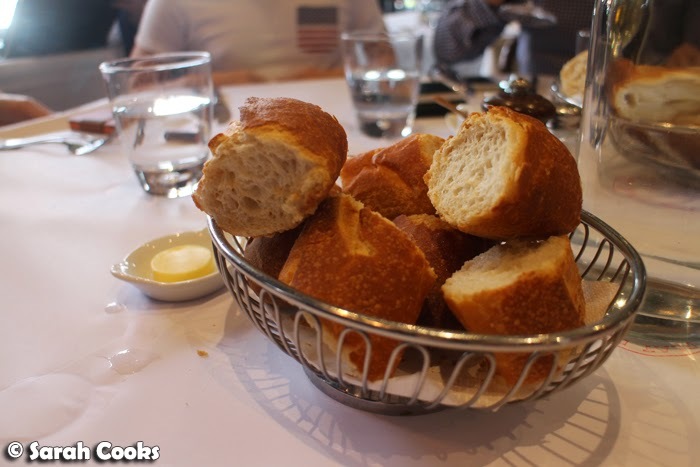 We started with some baguette with butter. I felt a bit weird about not having any plates and making a mess with the crusty baguettes but eh, everyone was doing it! 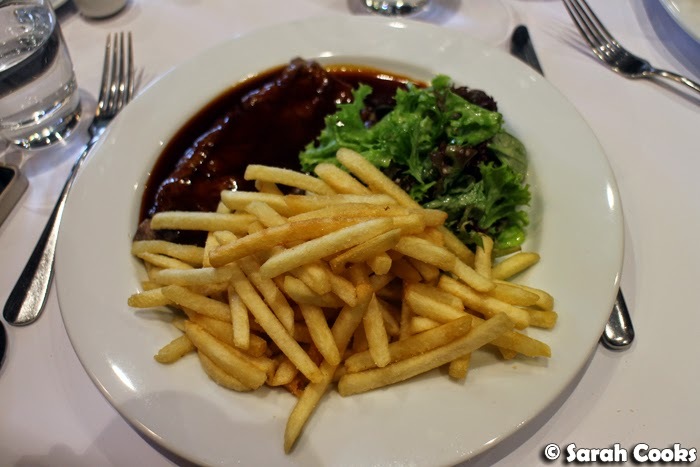 Here are the entrées - I didn't manage to try most of them (apart from my own French onion soup), but everyone around the table seemed to like what they got, and you can see in the photos how nice they all looked! 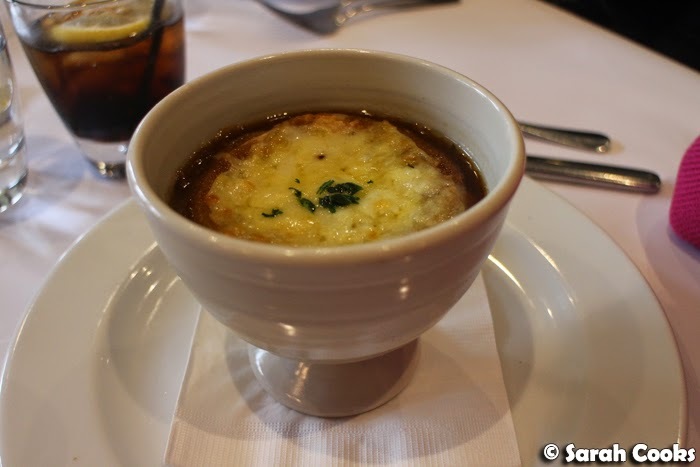 The onion soup was one of my favourites on my last visit, so I was looking forward to having it again, and it did not disappoint. Only half of us had wine - it was a Monday afternoon, after all - the rest of us substituted tea or soft drinks and the staff were flexible about this. Most of our table went for the minute steak. I love how the plate is almost half covered with fries - what a treat! 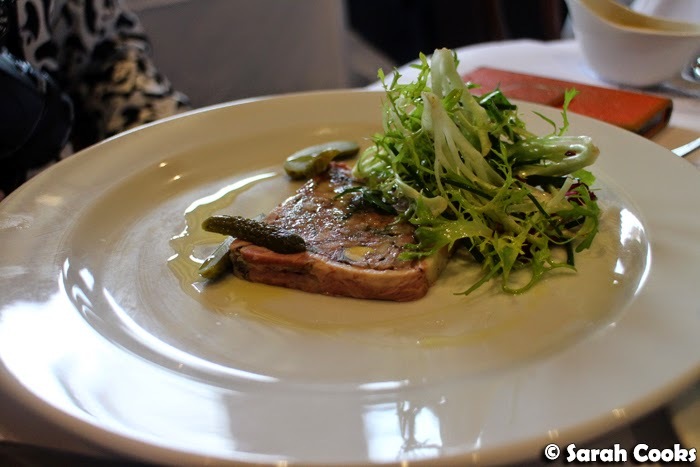 The minced steak normally comes with salad, but Sandra requested it without. Both the minute steak and the minced steak came with a similar (or same?) sauce - it had a good rich flavour but was quite salty, so it got a little overpowering, especially with the generously salted chips. 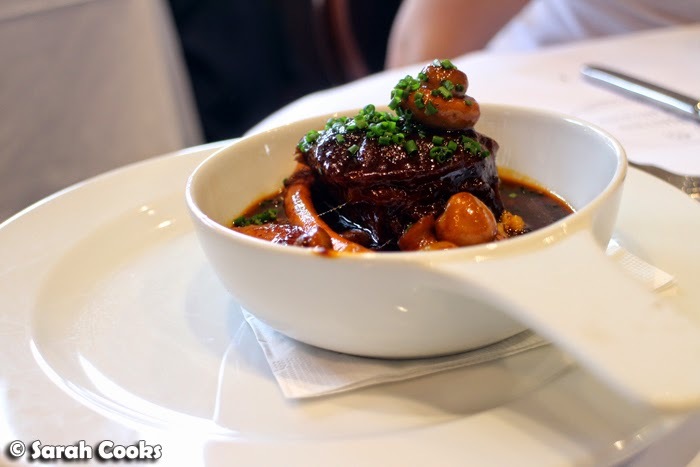 Even though I enjoyed my minute steak, I had serious dish envy when I saw the boeuf bourguignon - a small but intense bowl of tender beef, soft vegetables and a rich, rich sauce. Beautiful! 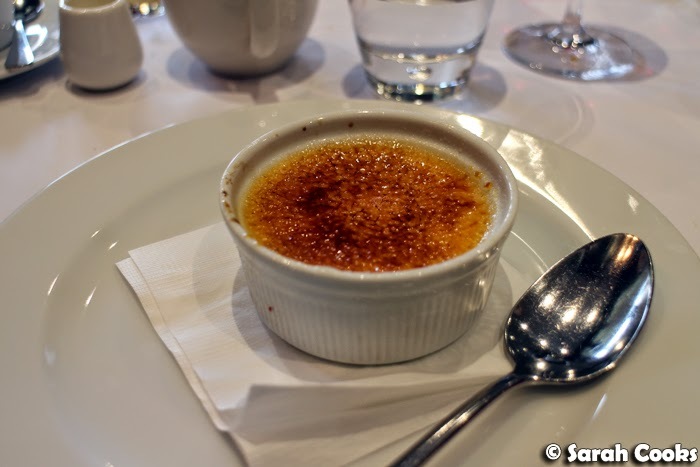 I love the crème brûlée here - all creamy, vanilla-flecked custard topped with crackly sugar. Lovely. Ashley and Daisy shared the tarte tatin. Ashely loved the caramel on top, and Daisy said it "blew me away! 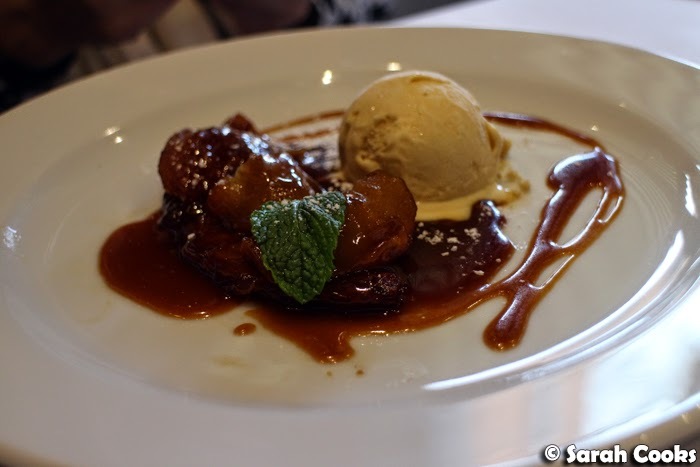 With that delicious ice cream, apples, pastry and caramel sauce!" Yay! It was a fun, tasty, easy lunch. 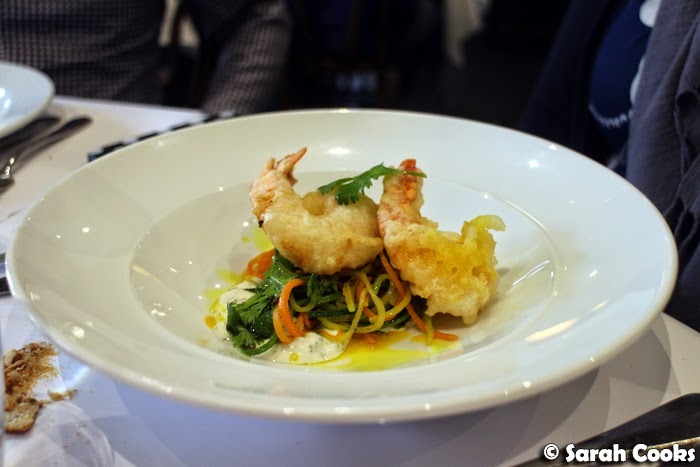 The staff were flexible, the food came out quite quickly and was overall of a very high standard - hooray! Thank-you guys for taking the time out of your long weekends to celebrate with me! 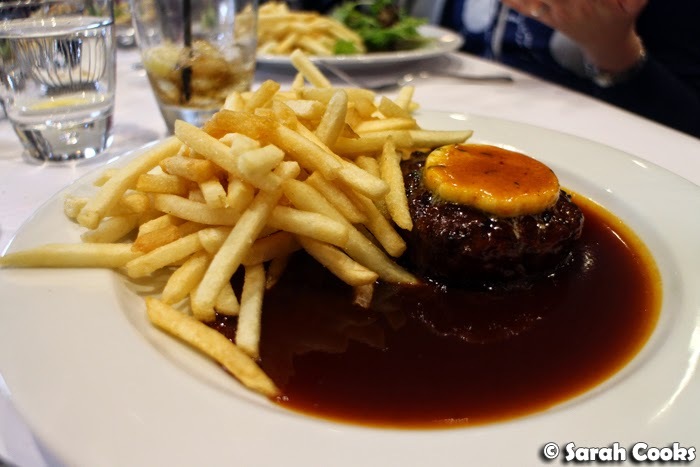 That French onion soup looks incredible, and I love that frites are such an elegant accompaniment in the hands of the French. Love. Wow, those fries! The sauce on those steak dishes do look very heavy, but delicious too.